Today we are showcasing a Guest Post from Cool Mobile Accessories featuring an enhanced user experience and even more awesome mobile cases and accessories than before! 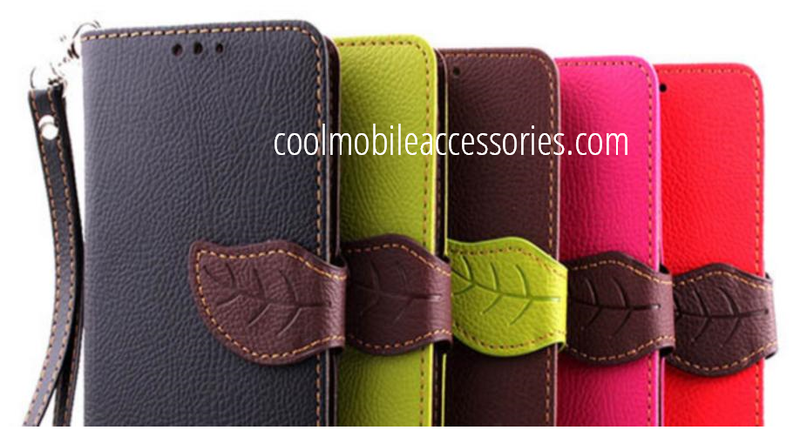 Visit at coolmobileaccessories.com to be blown away by our hand-picked collection of amazing cases! 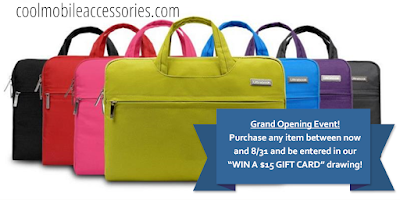 Shopping is easier than ever at our new store! Shop by device or theme. 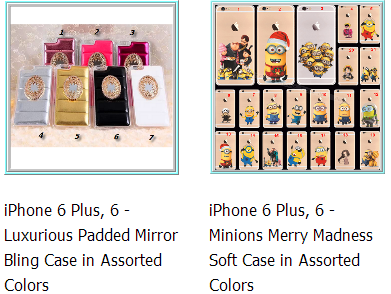 Browse for cases for your iPhone, Galaxy, HTC, and LG phones. 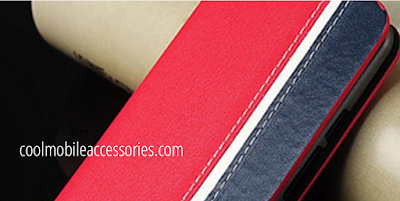 We have cases for the newest model devices. 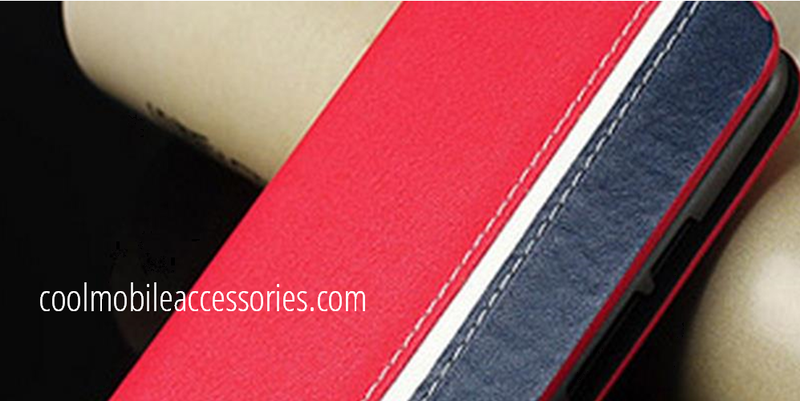 Or shop for dog cases, wine cases, sports cases, bling or wallet cases, whatever you have in mind! For the entire month of August, buy any item on our store and be entered in our contest to win a $15 gift card coupon! We also have a very exciting new collection of laptop messenger and shoulder bags for anyone who needs to cart around their laptop and all their other important stuff. Do it in style without going broke. 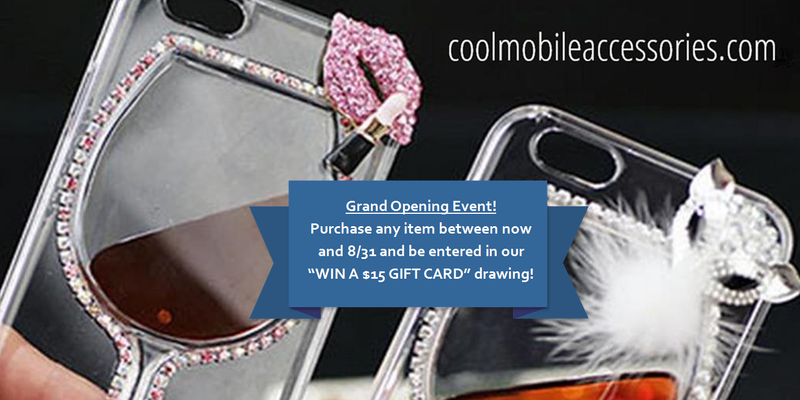 So come on over to coolmobileaccessories.com and see what's in store for you!